Please note that you must have my permission to mirror this anywhere. 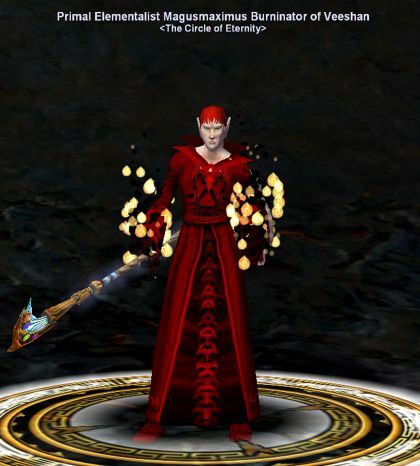 As of this writting, the Everquest Summoners (http://www.eqsummoners.com/eq1index.html) is the only website/webpage with permission. A couple disclaimers about this quest. You won't be able to skip around hail sequences; you must do them in order. Very little of the quest can be skipped around; Unless the mob or item is always up and does not involve a series of hails to trigger, you will not be able to get the item. None of the parts can be multiquested. While the 1.5 is completable by Elemental-geared people, the 2.0 is intended for end-gamers Only. Word is several pieces are located in the final zone, Asylum of Anguish. Unless your guild plans to go to Anguish, you will almost certianly not finish the quest. You will need your Staff of Elemental Essence to begin the Epic 2.0 quest. Look for Iilivina is Dranik's Scar. Give her your Staff of Elemental Essence. You will get it back but without augments so make sure to take those out. Sony said that they will be fixing this in a later patch but don't hold your breath ... just eat the solvent money. You will need to travel to Riftseekers and kill Pyrilen and Gelidran mobs, and collect two each of Pyrilen Essence and Gelidran Essence. The Pyrilen Essence only drop from top half of the map while the Gelidran Essence only drop from the lower half. Give Iilivina two Gelidran Essence and two Pyrilen Essence. You recieve Pouch of Powdered Riftseeker Essence and Note from Iilivina. Give Pouch of Powdered Riftseeker Essence and Note from Iilivina to Bantil in PoK. You recieve Small pouch of Riftseeker Essense. Vornol Transon in Twilight Sea would like this. Give it to him. Vornol Transon furrows his brow for a little bit as he mixes the powder in a small flask. 'This is most intriguing. There is nothing here that represents elemental magic as we understand it. These beings seem to use different means to channel their power. Let's see. . . Chaos represents fire, Order corresponds to Water, Air is channeled by Spirit, and. . . hmmm. . . Yes! There it is! Earth ties with Body. There you are, Chaos, Order, Spirit, and Body, those are the primal elements, and I suspect they are the key to unlocking the full potential of your new staff there. Which is quite nice if I do say so myself. If you find essences of the Primal elements you may want to speak with Bantil again. He should have some insight on how to complete your journey. Iilivina has been in Discord long enough, she may have some insight as to where these essences can be located. 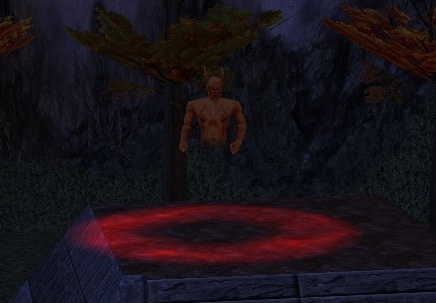 Returning to Iilivina in Dranik Scar once again. Iilivina says 'Were I to venture a guess, I'd say look for Chaos near the ruins of a fallen empire, as order would tend to oppose chaos, I would look for the Order elemental near the ranks of a well regimented army, probably an ancient army, it is a creature of prestige. The Spirit elemental would find someplace where death and decay have a strong foothold. The Body Elemental may be the most elusive, as there is life everywhere. I would assume that its strong ties with this realm would pull it to a place where there are Muramites. When you find them, bring their remains to me and I'll see what else needs to be done.' The following 4 subtasks are to slay each of the four primal essences and loot their goodies. WARNING: At the time of writting this, the elemental spawns were bugged. If multiple flagged magi get within spawning radius of the mob, then multiple copies of the mob will spawn. At our first attempt on Air in HoH we found 3 mobs charging us - needless to say it wasn't good. Also, leaving epic on corpse, in bank and/or bag will not work we tried that as well. If multiple magi are your raid are flagged for this section of the 2.0, keep the extras away. 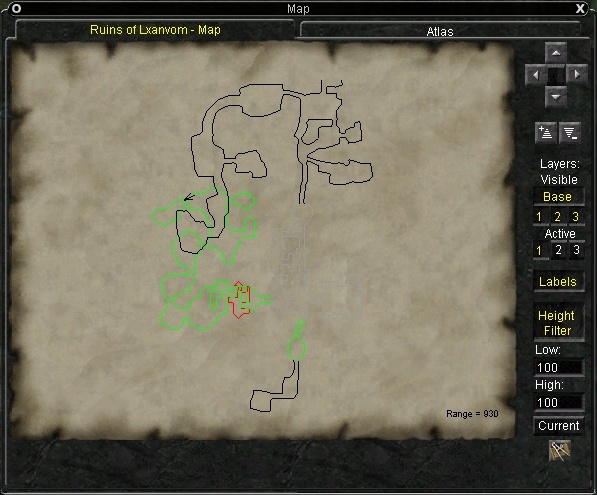 Marked by the tip of the red arrow is where the elemental spawns. The little green dot in the corner of the square room is a nice safe spot where you can leave an afk folk, an extra mage that you don't want to bug your event (if you are reading this before sony fixes it) or for whatever reason. No mobs should agro anyone tucked in that corner from what i've seen. This elemental hits for around 1000, flurries and has two AEs. 1) Visions of Pain (decrease spell haste 100%, 1000 hp per tick dot, 45 curse counters.) He will AE once every minute, a single RGC will cure it, however, this is simply a fast paced fight. Instead, you will want to use all the heal over time spells you can as there is no time to cure everyone -- especially now that spells take twice as long to cast from the debuff. 2) Searing Pain which is a 6000 hp DD that goes off every 30 seconds. Have the group heals ready! We put a cleric in each of our 3 groups (which had 4, 5, and 6 people in them) who healed with word of vivfication. He does not have many hit points so expect a fight lasting under a minute depending on what you bring. I hear that it is one groupable with the right compbo but I wouldn't go there with under two solid groups. Three groups will guarentee the win unless you don't know what you are doing. Heart of Flames and Bolt of Jerikor tear him apart. When you beat him, he leaves behind a nice Element of Body. No chest. Your staff begins to glow. The red gem on your staff glows. The red gem on your staff radiates heat. You see the burning manifestation of Chaos appear before you. This mob hits for around 2800 and procs Chaos Epidermic. 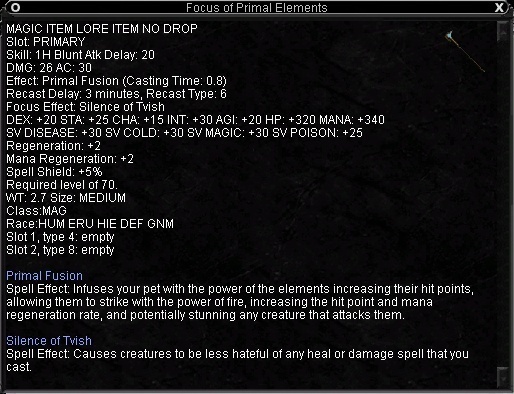 Note that this is a charm spell that adds a proc of itself. Meaning your main tank will get charmed and while he attacks others, he will proc on them and they will become charmed and repeat the process. 18 curse counters so there are various ways of curing this. He also has an AE Chaos Affliction which mainly is 200 hp a tick dot and decreases spell haste by 50%. A raid size of 35-45 is probably about right for a fairly new anguish guild. A chest with attunable loot will spawn when you loot. Good luck. The purple gem on your staff glows. The purple gem on your staff eminates a soft breeze. 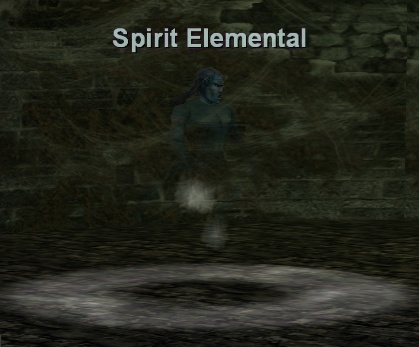 Ghosts howl around you and coalese into the Spirit Elemental. This is the easiest one by far. He max hit me (a mage) just over 1000 and only hit over 600 twice in the 10 times he hit me. He can proc a charm. He has less hit points than Element of Body so expect a really quick fight. Use magic nukes, fire doesn't land well if at all. 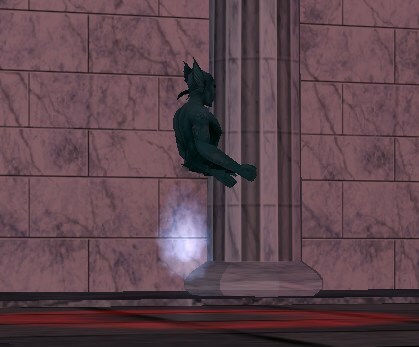 Drops a nice Element of Spirit when you down him. No chest. 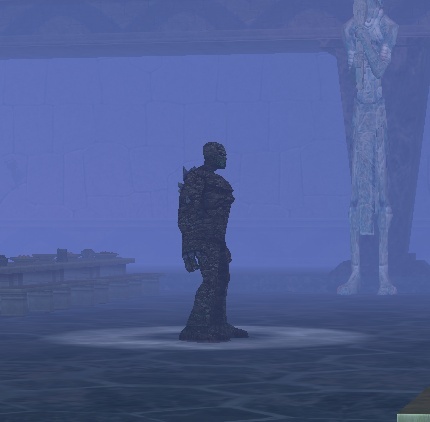 Spawns in Halls of Honor as you get close to the SW corner temple. Straight south of the HoHB zone in area there is a system of temples. 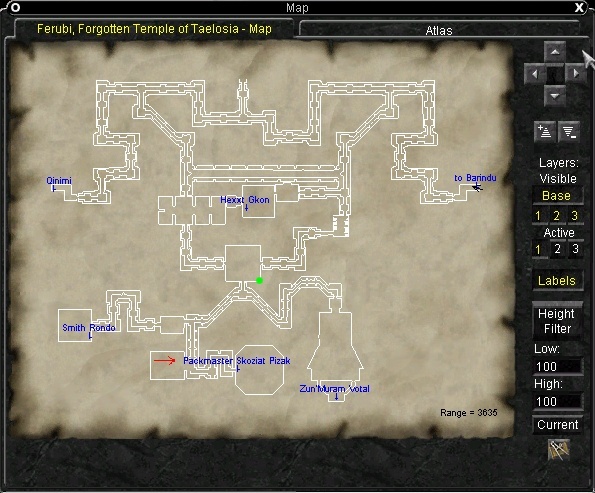 Note: Most maps show only one of the four rooms that are down there. Missing the tier 3 emote for this one, email me. The Order Elemental Comes into your sight. This bad boy quads for 3k, flurreis, rampages and casts Cursed Keeper's Drain. This is a 10 minute recast AE that overwrites kei and has drains 1000 hit points and mana. Simply have an enchanter mgb crack 1 tick after it lands (it has one tick duration.) A chest will spawn once you have looted Element of Order. Hand Iilivina the 4 Primal element drops. Your guild will need to kill some raid mobs in Anguish to get a Globe of Discordant Energy to spawn. I believe one spawns when both Warden Hanvar and Ture are dead and second one may spawn when Keldovan the Harrier and Jelvan are both dead. Also, Arch Magus drops one and Overloard Mata Muram drops one or two per kill (it may be random or have changed to two every kill in the latest patch.) Every class' epic 2.0 ends with this drop so expect a wait if you aren't at the top of your guild's loot system. The original message board post. Discuss here. This guide Copyright 2005 Magusmaximus. All other copyrights belong to their respective owners. This guide may not be copied or distributed without written permission from the author. In other words, don't mirror this anywhere. Not even Allakhazam. Email requests to Magusmaximus. Special thanks to Xalmat (I tought myself cascading style sheets from his example and built this roughly from his 1.5 guide's design.) Lastly, a huge thanks to all the mages who post on the forums and everyone who will be submitting any missing information in the future.